Due to a common perception that zero percent car loans were actually devices meant to rip off customers, its popularity as a method of car finance has halved in America in just the last four years or so. However, according to an analysis carried out by Edmunds.com, customers who are able to find such loans can hope to save $3,500 (average), not an inconsiderable sum by any means. 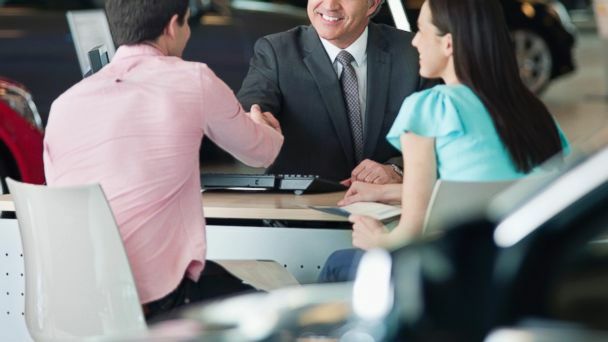 Because zero percent loans appear to be so attractive most customers think that they are some type of a scam being pulled off by the dealers, however, in reality, it is a device used by car manufacturers and the dealers to make certain models or brands more attractive to customers. The schemes typically offer customers with good credit a chance to purchase cars over a period of three to five years without any interest being charged. The point to be noted is that these offers are not always available and make commercial sense for the manufacturers as they end up costing them less than offering cash rebates. Despite that,zero percent loans still can save customers some really serious money that they would have only otherwise got by opting for certified pre-owned cars. The Edmunds study estimated that car purchasers who were able to get the benefit of the zero percent finance schemes were able to save averagely $3,554 more than the customers who got the usual car loan that entailed paying interest over the lifetime of the loan. The estimate of savings made by Edmunds is based on a typical interest rate of 4.31% per annum, a term of 67 months and a loan amount of $28,000. According to an Edmunds researcher, the savings figure is actually on the lower side due to the low rates of interest currently prevailing. If one were to go back to 2007, the savings made by customers availing of zero percent loans would work out to approximately $6,000 as the interest rate then were much higher at 7.3%. The study conducted by Edmunds also established that zero percent loans were relatively scarce. Zero percent loans currently make up just 1% of the financing availed from the dealers like Ideal Auto USA as compared to a more healthy 23% of all loans taken out in March 2010, when Toyota shook up the market with lots of incentives to counter a technical fault scandal that had its vehicles suddenly accelerating. The lessening of the number of interest-free finance schemes offered by the manufacturers is attributed to the fact that such schemes being sporadic gave them only a brief sales boost rather than a sustained increase in revenues. Since the special finance schemes were aimed more at clearing inventory, the chances of customers getting these offers depended a lot on what models they were looking at. For example, in the first nine months of 2014, a whopping 19% of dealer-financed buyers, who bought vans,got the zero per cent finance as compared to a paltry three per cent buying luxury cars. Edmunds attributes this phenomenon to the fact that manufacturers offered more interest-free loans to lure business customers in the van segment, whereas for the luxury car segment, they preferred to invest more in structuring attractive leases. The Edmunds study also discovered that truck customers showed a distinct preference for cash rebates to interest-free finance, and this was reflected in the figure of just 4% of them opting for such schemes in the nine months of 2014 that were studied. Max Caldwell is a sales consultant at Ideal Auto USA that is among the top-ranked dealers of certified pre-owned cars.